Land, sea and people is a trilogy representative of coastal communities that needs to be adaptive to climate change; a defining factor that is creating societal stresses and demands a resilient response from coastal nations and their communities. Finding a sustainable answer to the issues of societal or natural access to coastal areas requires a co-ordinated, long term planning and management approach, a process that takes account of the multiplicity of issues in coastal areas while being embedded into a social justice and environment paradigm. FIG Commission Working Group 8.4 Urban Planning in Coastal Regions brings together technical issues and problem solving in coastal areas for land professionals. It builds upon the key issues that were raised in the Costa Rica Declaration which acknowledge that long term sustainability will occur only as a result of continuous adaptation (resilience) to changing conditions; the urgent need for adaptation and the importance of sharing best practice among practitioners. Surveyors and land professional play a key role in linking functioning markets for coastal zones in respect of economics, society and conservation, all under the umbrella of land governance. They focus the principles in coastal area management and mediate the duplicity of issues arising including resource use, capacity, administration, registration of rights and planning into a social justice paradigm. During the term 2007–2010 FIG WG 8.4 considered the particular issue of the coastal zone, with much of the initial evidence drawn from the FIG Working Week technical sessions. This publication is a tool to support surveyors and enable them to articulate to politicians, executive managers, decision-makers and professional organisations in their efforts to deal with coastal zone management in a way that is representative of a social justice and environmental needs based approach. This publication sets out the Working Group’s finding and suggestions for best practice and the road ahead. The full report from Working Group 8.4 is available at www.fig.net/commission8. On behalf of FIG I would like to thank the Chair of WG8.4 Dr. Isaac Boateng and all the delegates who over the past few years have contributed such informative and often enlightening papers, from which is drawn much of the substance of this report. Without these inputs this publication could not have happened. Dr. Michael Sutherland, Chair Elect, Commission 4. 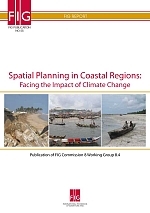 This report highlights the core issues of coastal adaptation to climate change and discusses the impacts of climate change on spatial planning in coastal regions. It outlines the objectives of the working group 8.4 and its achievements over the past four years. It also draws members’ attention to FIG’s contributions to the global debate on the issue of climate change and associated sea level rise over the same period. The report focuses on the present and future impacts of climate change on coastal regions and identifies participatory coastal adaptation strategy, which is planned and implemented in advance as a sustainable way of dealing with the problem. The report covers a wide range of related themes. Each theme has a brief outline of the core issues and then uses the case studies to either analysis or provides solution to the problem. 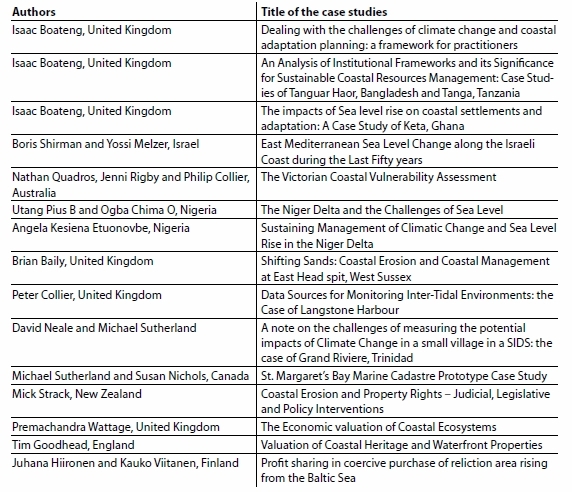 The case studies which covers 12 different countries (Figure 2) around the world focuses on a specific coastal problems and tries to highlight the methodologies applied to deal with the problems, the change processes (results) and the lessons learned. The report provides an insight on the task of addressing the ‘land’ challenge posed by rising sea levels and the complex issues in the coastal zone. It presents holistic coastal adaptation framework (Figure 32) which outlines a step by step processes towards the development of sustainable coastal adaptation project which is based on participation and reliable data on the climate change variables. The report concludes that, the impacts of climate change are already affecting many coastal regions and SIDS. The impacts are likely to intensify over the next century. There is the need therefore to plan for adaptation now so as to reduce some of the negative future effects of climate change in the coastal zone. It was identified that comparatively, developed countries have technical, institutional and financial capacity for coastal adaptation than developing countries. However, developing countries has less development on vulnerable coastal lands. The report recommended the application of land use planning to avoid the potentially costly and unsustainable “development – risk – protection” cycle by attempting to apply retreat and accommodation adaptation policies to manage the extent to which their populations and economic activities overlap into the most hazardous areas. It also recommended to the FIG to advocate for sustainable coastal land-use planning and adaption in developing countries. This publication aim at satisfying the core objectives of the Working Group 8.4, bringing together technical issues and problem solving to aid land professionals both practitioners and academics. It also builds upon the key issues that were raised in the Costa Rica Declaration, which acknowledged the pressure being placed upon Coastal Zones, the urgent need for adaptation and the importance of sharing best practice among practitioners. This report reviews key issues on coastal adaptation to climate change and provides practical solutions to the issues through the use of 15 sets of concise technical and analytical case studies contributed by the working group member as examples of best practice. The case studies which cover 12 different countries (Figure 2) around the world touches on adaptation methodologies, principles, and management of coastal resources including valuing un-price (Non-market) and heritage resources in the coastal zone. This report covers a wide range of related themes and therefore, serves as a “one stop shop” technical document for coastal managers, policy makers and other practitioners working in the coastal zone and SIDS. It provides an insight on the task of addressing the ‘land’ challenges posed by rising sea levels and the complex issues in the coastal zone. Holistic and technical documents such as this report are mostly handy to practitioners “as most of them are preoccupied with the responsibilities of their jobs and tend not to have the time or inclination to search for these information from different scientific sources” (Tribbia and Moser, 2008). The International Federation of Surveyor’s (FIG) Working Group 8.4 was set up in 2006 and commissioned in 2007 to investigate the emerging coastal habitat issues connected to rising sea levels as a result of climate change and its influence on planning in coastal regions. The Working Group had two objectives: to identify the impacts of rising sea levels on habitats in coastal regions and to develop planning policy and implementation guidelines to assist sustainable coastal adaptation. The Working Group perused a cross-commission engagement and collaboration with Working Group 4.3 (Administering Marine Spaces). A roundtable discussion between the two working groups was held during the FIG Working Week in Stockholm. The discussion highlighted the need for capacity building and the use of case studies as a tool for widened participation and sharing of best practice. It was identified that there was the need to develop a holistic policy framework for sea level rise adaptation planning, in coastal regions. Since 2006, the Working Group 8.4 in collaboration with Working Group 4.3 has contributed cutting-edge technical papers on the subject in all FIG working weeks, general assemblies and regional conferences. Most of these technical sections (outlined in Table 1) offered detailed insight into the impacts of sea level rise on coastal regions and Small Island Developing States (SIDS). Table 1: Contribution of Working Group 8.4 since 2006. These papers can be downloaded at http://www.fig.net/pub/proceedings/procindex.htm or from the FIG library. This report is divided into seven (7) key sections. Each section focuses on a given problem or challenge that confront practitioners. This is followed by best practice as highlighted by case studies from the contributing authors (see Figure 1 below). The case studies were highly focused on specific coastal problems, methodologies applied to deal with the problem, the change processes, results and the lessons learned. Figure 1: Authors Names and Full Titles of Case Studies. The full papers can be downloaded from the commission 8 website. 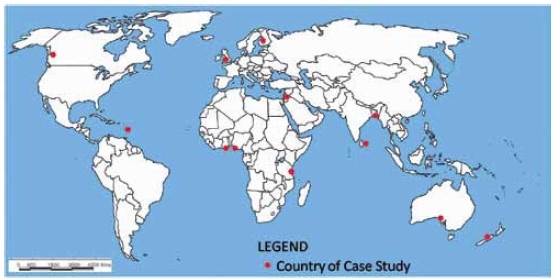 Figure 2: World Map Showing Case Study Countries. This section highlights the impacts of climate change and its influence on spatial planning policies. A major challenge of spatial planning in the 21st century is the issue of climate change and the need to provide environmentally sustainable development. A fundamental tenet of commission 8 is to advocate and ensure that physical planning establishes the ‘ground rules’ for environmentally sustainable development at all planning levels and including all actors (government, private sector and public/private partnership). It is important to state that surveyors’ role are very crucial in all aspect of these processes and therefore Commission 8 have more focus on issues that are closely related to the core disciplines of the profession. It is based on this mission that the working group 8.4 was set up. Three case studies are used to analysis and explain possible ways of dealing with the problem. Developing better understanding of the potential impacts of climate change and associated sea level rise on coastal ecosystem, coastal settlements and development and to formulate policies to deal with the impacts. Identifying climate change related problems and to develop alternative planning policies to deal with them based on the dynamics and the complexity of various coastal environments. Incorporating ecological, environmental and natural values in spatial planning to fight environmental deterioration and to ensure sustainable development. Exploring the relations between development and land-use intensification, assess their effects on the sensitive coastal landscapes and on the other hand to explore the possibility of incorporating natural, cultural and environmental quality values in the planning process. Developing policies to prevent nature- and human driven hazards, which may affect coastal systems. Pursuing policies which will ensure sustainable coastal adaptation to climate change and the rising sea level. 8 have more focus on issues that are closely related to the core disciplines of the profession. It is based on this mission that the working group 8.4 was set up. lead to the formulation and implementation sustainable planning policies at local, national and regional levels. Based on the above impacts the following could be identified as the major problems that should be address by planning policy in the coastal regions and the role of surveyors towards the development of sustainable policies and solutions to the problems could not be understated. Coasts are experiencing the adverse consequences of hazards related to climate and sea-level rise. Coasts will be exposed to increasing risks, including coastal erosion, over coming decades due to climate and sea-level rise. The impact of climate change on coasts is exacerbated by increasing humaninduced pressures. Adaptation for the coasts of developing countries will be more challenging than for coasts of developed countries, due to constraints on adaptive capacity. Adaptation costs for vulnerable coasts are much less than the cost of inaction. The unavoidability of sea-level rise, even in the long-term, frequently conflicts with present-day human development pattern and trends (After IPCC 2007). BACKGROUND: Keta is a littoral town on a barrier system at the East of the Volta Delta. The barrier enclosed the largest lagoons in Ghana called the Keta lagoon. 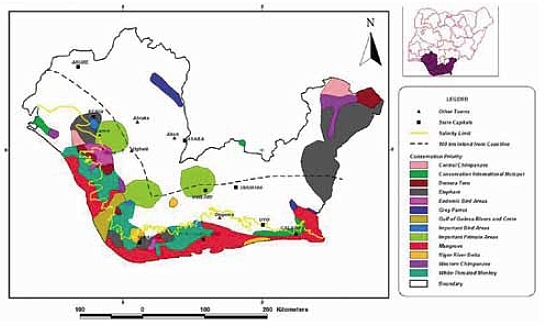 It is located at the south-eastern coast of Ghana (Figure 3). Figure 3: A map showing the location of Keta. PROBLEM: Coastal erosion, flooding and shoreline retreat are serious problems along the coast of Keta. Past human impacts, inappropriate management interventions, climate change and sea-level rise have been identified as major contributory factors (Armah, 1991). However, the soft geology and extremely low-lying nature of the coastline are the major factors. Coastal erosion and flood risk to Keta was aggravated due to the shortage of littoral sediment which was created by the Akosombo dam built on the Volta River in 1964. The dam led to the reduction of fluvial sediment supply from the Volta River from about 71 million m3/a to as little as 7 million m3/a (Boateng, 2009). Five metres (worst case scenario involving catastrophic melting of west Antarctic ice sheet; Vaughan, 2008). The results of this assessment are presented in Figure 3. RESULTS: The results of the flood risk assessment (Figure 4) identified that Keta is highly vulnerable to flooding and increase erosion that might be associated with sea level rise. Hence present settlements and developments that are located in areas of high vulnerability and potential instability might consider accommodation policies or perhaps retreat, depending on the level of risk (Walsh et al, 2004). Based on the identified risk it is quite clear that adaptive response to manage the risks of land loss, the settlements and infrastructure on the littoral strip between the Volta estuary and Keta is highly important. The key planning policy issue of Keta centres on flood defence for settlements and development at the backshore and along the banks of the lagoon in the hinterland. The flood hazard depends critically upon the condition of the natural protective barriers (the littoral strip) and some artificial defence structures. 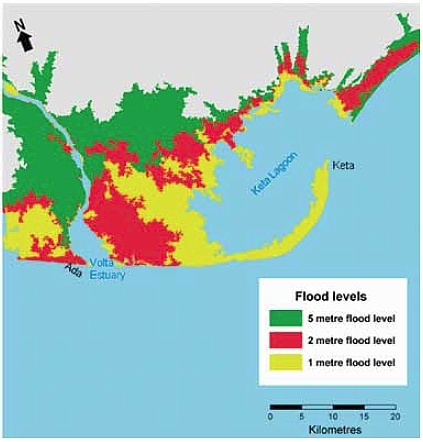 The high flood risk is due to the fact that entire frontage and much of the hinterland of Keta Strip is extremely low-lying (Figure 4) such that all the frontage could be submerged by 1 m rise in sea level, and 2 m rise in sea level may result in inundation of the whole frontage with some flood waters extending up to about 15 km inland. 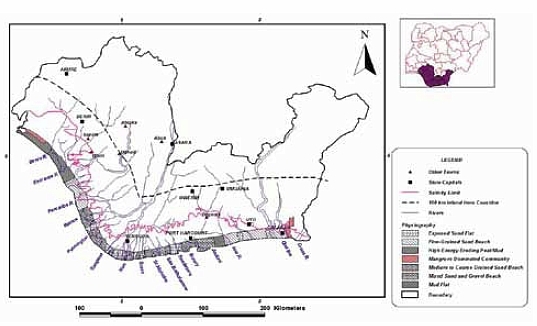 Figure 4: Flood Risk Assessment of Keta. LESSON LEARNED: The entire coast of Keta is under serious threat of coastal recession and flooding due to the soft geology, low-lying topography, and reduction of sediment supply from the Volta, not forgetting the potential impacts of the rising sea level. The presence of large lagoon fronted by settled barrier beach means that coastal settlements are at risk of flooding from landward (lagoon) as well as seaward. This makes defending the coastal frontage against the rising sea level not only economically expensive, but technically difficult. 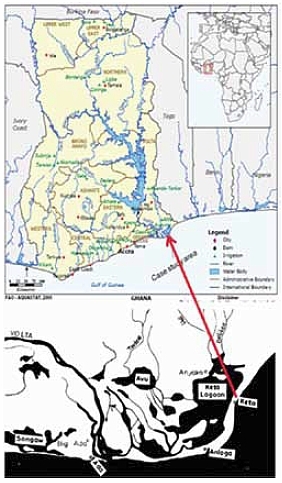 A possible option is to retreat landwards but as shown in Figure 4, the higher ground (areas 5 m above sea level) on which settlements east of the Volta estuary to the Keta lagoon inlet could be relocated are about 22 km inland. BACKGROUND: The Niger Delta is located in Atlantic Coast of Southern Nigeria where River Niger divides into numerous tributaries. It is the second largest delta in the world with a coastline spanning about 450 kilometres terminating at the Imo River entrance. About 2,370 square kilometres of the Niger Delta area consist of rivers, creeks and estuaries and while stagnant swamp covers about 8.600 square kilometres. The delta has the largest mangrove swamps in Africa, spanning about 1.900 square kilometres (Awosika, 1995). PROBLEM: A rise in sea level of about 0.462 m above sea level was detected in the Delta between 1960 and 1970. The rising sea level coupled with the natural topography and the hydrology is causing severe environmental problems to life and properties in the delta. Some of the problems includes, flooding, siltation, erosion and submergence of developed areas. Communities, roads and farmlands are partially or totally submerged by the delta channels or by water flowing over the levees. In the mangrove swamp forest areas, diurnal tidal movements and the rising sea levels have resulted in over-washing, coastal erosion and subsidence. The seriousness of the problem is based on the fact that the Niger Delta region is the bedrock of Nigeria’s oil production, which accounts for 97% of the government total revenue. Hence any serious negative impact on the area could have serious consequences on the national economy. METHODS: GIS techniques that underscored the spatial change detection analysis were applied to time sequenced databases to track environmental changes and trends in terms of key environmental attributes. Key morphologic units and biodiversity hotspots under threat by current and projected sea level rise were identified using two components of the IPCC common methodology, which includes the delineation of the spatial extent of areas of interest and subsequent identification of habitats and areas (attributes) highly susceptible to inundation, erosion and coastal recession. Figure 5: Coastal geomorphic structure susceptible to erosion and inundation. Figure 6: Biodiversity conservation sites with some under threat from inundation. RESULTS : The assessment has revealed that most natural systems and many human activities in the Niger delta are sensitive to the changing climate and associated rise in sea level. The extent to which these systems will be harmed by climate change depends on the magnitude of the change and the capacity of the natural or human system to adapt. The problem may not be peculiar to Nigeria, but other delta environment in the world may encounter similar challenges. Society’s capacity to adapt is dependent on the prevailing socio-economic impacts, knowledge of the likely future effects of climate change and the identification of vulnerability to society. Unfortunately, in the Niger Delta data on the area of land in the region that may be at risk of flooding and coastal erosion are lacking. This case study therefore provides key information and baseline maps for coastal adaptation planning for climate change and further research. LESSON LEARNED: Some of the challenges of climate change in the Niger Delta and perhaps other delta environment in the world are related to the impacts of sea level rise. Particularly compelling are the issues of coastal erosion, storm-surge and inundation. These may have deleterious effects on biodiversity, marshes and arable lands in a deltaic environment. Planned adaptation measures are currently lacking, but their provision is imperative to reduce the impacts. The economic implication, though high, should not deter governments and corporate intervention, as the long-term benefits far outweigh the cost implication. BACKGROUND: East Head spit in West Sussex comprise sand and shingle spit which is located on the eastern edge of entrance to Chichester Harbour, (Figure 7). Immediately to the landward side of East Head are areas of salt marsh and mudflats, which in turn precede low lying coastal plains with areas of expensive real estate. East Head is an important coastal feature in relation to recreational use, nature conservation and as a coastal defence mechanism. The spit represents one of the few areas of sand dunes along the southern English coastline. It is a dynamic landform, which has changed shape and orientation in response to both human induced and natural impacts on the coastline. 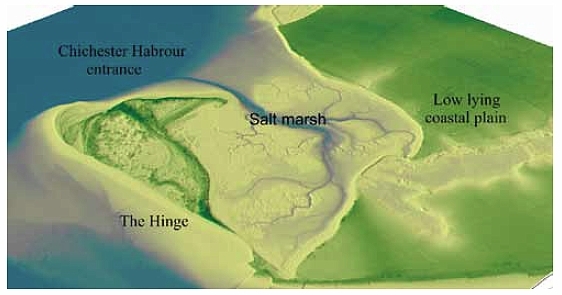 Figure 7: The position and Location of East Head spit West Sussex, England. PROBLEM: A number of concerns have arisen from the relatively recent increased erosion of East Head. Since East Head is an important ecological habitat, severe erosion could lead to the reduction and possible destruction of the coastal form and associated sand dunes and saltmarsh (Figure 8). Furthermore, if a breach were to occur along the spit, the hinterland behind may be exposed to increased erosion. Over the last few years it has become clear that continued intervention in the physical coastal management of the spit will be required for its long term stability. This offers a challenge for those involved in coastal management and protection on how to achieve a balance between a sustainable coastal form and preserving the dynamic nature of the spit, whilst minimising potential threats instigated by its decline. Figure 8: A surface model generated from Lidar data from the Channel Coast Observatory. 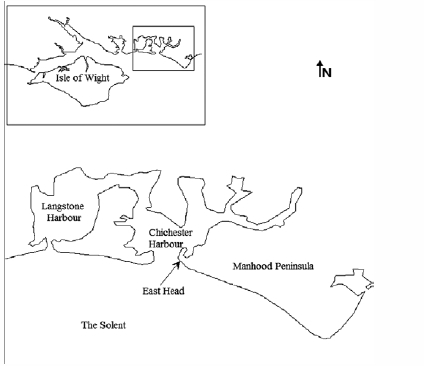 METHOD: Understanding of the coastal geomorphology and historical evolution (longer-term coastal change) of the spit was required for the development of sustainable intervention policies and the physical management of the spit. To achieve this, a number of aerial photograph from 1946 to 2005 were obtained from various sources (include English Heritage, Cambridge University Committee for Aerial Photography (CUCAP) and the Channel Coast Observatory) to map the changing morphology of the spit. Photogrammetric analysis was used to assess the morphological changes of the spit over the period. The erosion was surveyed and analysed by regular GPS surveys and Lidar data collection to detect the rate of recession. RESULTS : The analysis revealed that the landward end of the spit has narrowed over the years due to dune erosion (Figure 9) which may be related to a reduction in sediment supply from the east and the scouring effects of the adjacent sea defences. The study identified that in the period March 1999 until October 2004, the dunes at East Head have retreated by 39 m. Later analysis demonstrates a retreat of 6 m between 19th October 2004 and January 13th 2005, in particular storms which occurred between the surveys of the 12th December 2004 and January 13th 2005 caused a 2 m loss (Figure 10). Figure 10: Erosion and retreat of the seaward face of the sand dunes at East Head. In response to the continuing erosion of the spit and the potential for a full breach, thirteen thousand cubic meters of sand and shingle were recycled from the northern tip of East Head and deposited on the eroded area in 2005 with a further recycling scheme in 2009. Erosion of the spit continued into 2006 especially at the far end of the spit. After 2006 regular GPS and Lidar surveys have suggested that there has been accretion immediately offshore of the dune face. It is believed that the East Pole Sands is the current source of sediment feeding East Head spit. Bray (2007), suggests that sand bars migrate onshore to up-drift of the spit and are helping to feed the current accretion. There has also been significant accretion at the end of the spit. The rapid erosion appears largely to have stopped and some sediment is accumulating in front of the eroded dune face. The spit appears again to have reached a position of stability although continuing monitoring will show if this is a short-term trend or part of a longer-term recovery. LESSON LEARNED: The dynamic nature of change at East Head shows the importance of understanding the longer and shorter-term nature of geomorphological change. Techniques including cartographic analysis, photogrammetric mapping, GPS surveying and Lidar data can all be combined to help coastal managers and surveyors decide upon the management strategies to be employed. The analysis of East Head also shows how processes and patterns can change suddenly from severe erosion to a relatively stable beach front. The general current policy for East Head is one of adaptive management which involves a flexible management approach depending on changes which occur (Environment Agency, 2007). This study also shows the importance of an affordable well structured monitoring programme which should be part of any coastal management strategy. Results of latest scientific research has predicted slightly higher sea-level rise than the one predicted by the IPCC Fourth Assessment Report, in 2007. Pfeffer et al (2008) have predicted that the upper limit for global sea-level rise by 2100 will be 2 m. Another recent research has also predicted 5 m sea-level rise as the worst case scenario involving catastrophic melting of the West Antarctic ice sheet (Vaughan, 2008). The rise in sea level will not only cause inundation of coastal areas but also increase the intensity of the physical processes such as storm surge, tidal current and the wave climate which could have deleterious effects on coastal developments and settlements. However, the high level of uncertainties in the predictions raises concern. Which of the predicted levels is likely to occur and therefore should be used in the assessment of future vulnerabilities? What will be the exact impacts of the rising sea-levels on the world coast and its economies? Realistic answers to these questions are needed for sustainable spatial planning. There is an urgent need for every coastal community to explore and identify impacts of climate change, and develop adaptation plan that could potentially offset some of the worst climate change problems. However, for such adaptation policies to be effective they need to be matched carefully to the local coastal conditions, geomorphology and the economic activity at the backshore. This can only be achieved through holistic and effective vulnerability assessment sustainable spatial planning. The concept of multistage and iterative process for spatial planning could be applied to coastal adaptation to climate change. Sustainable spatial planning principles and climate change adaptation are expected to deal with environmental concerns through land-use planning, development control and environmental impact assessment. These are done in partnership and in collaboration with stakeholders. Coastal adaptation need to be planned in advance and implemented within an organised framework that includes local community involvement, elements of monitoring, maintenance, and capacity building. These coastal adaptation processes are similar to the established principles in spatial planning processes. Assessment of coastal vulnerability is a core activity in sustainable coastal adaptation planning. Surveyors’ contribution in the form of skills, data (maps & aerial photographs) and tools (Geographic Information Systems GIS, Remote Sensing and Global Positioning System GPS) are very crucial for effective and reliable assessment. Effective assessment of coastal vulnerability depends upon detailed and reliable local data which are mostly supplied by surveyors. Some of the key data required include historical maps, land use maps, tidal data and biophysical information. In addition, data on climatic elements, shoreline recession rate, and geodetic and geo-tectonic information are also required. It is important to state that surveyors have the enabling tools and skills for gathering, archiving, and processing these data sets for sustainable coastal adaptation planning. It is therefore essential for FIG to develop the necessary framework and policies that will build capacity for the development of spatial infrastructures and data banks in member states, especially in developing countries and SIDS where most spatial information required for climate change vulnerability assessment and planning are lacking. BACKGROUND: Victoria is the smallest mainland coastal state but second most populous state in Australia. Victoria is located at the South-eastern Australia with Tasmania to the South (Figure 11). Victoria has densely coastal population highly centralised at Melbourne. The coastal zone of Victoria is quite vulnerable to the rising sea levels. 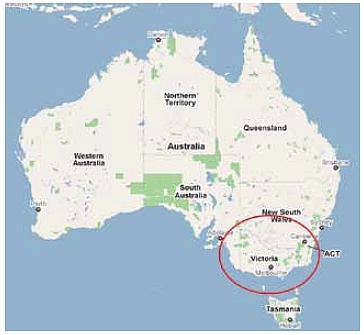 Figure 11: Location of Victoria within Australia (Google Maps, 2010). PROBLEM: It is anticipated that the rising sea level would heighten existing coastal hazards and poses new risks to coastal communities and ecosystems. Based on this a multi-million dollar coastal vulnerability assessment and adaptation programme called the ‘Future Coast Programme’ meant to prepare for sea level and storm events on the coast had been commission by the Victorian State Government. The Victorian Future Coasts Programme aimed at providing a second assessment of coastal vulnerability, following the national first coastal vulnerability assessment for Australia in 2009. The Victorian coastal vulnerability assessment aims to provide state-wide data and information on the physical vulnerability of Victoria’s coast to inundation and erosion from sea level rise and storm events. Figure 12 illustrates the components of the coastal vulnerability assessment. Figure 12: Components of the Victorian Coastal Vulnerability Assessment. METHOD: The high-resolution Digital Elevation Model (DEM) was acquired by the Victorian Government. The DEM provides an accurate base layer for modelling coastal landform and geomorphology data and extreme sea level data to map zones of potential instability and inundation extents. Future Coasts Program commissioned topographic and bathymetric LiDAR projects along the whole of the Victorian coast between 2007 and 2010. These projects have been combined to create a state-wide 1 m resolution topographic coastal DEM and a 2.5 m bathymetric coastal DEM. The extent of the combined datasets and their sources are shown in Figure 13. Figure 13: The Victorian Coastal Elevation Survey. The topographic LiDAR data was collected in five separate projects. These projects collected elevation data from the waterline at the time of survey up to at least 10 m above mean sea level (MSL). Each project has a vertical accuracy of ±10 cm @ 1σ and a horizontal accuracy of ±25 cm @ 1σ. All LiDAR derived GPS heights were related to the Australian Height Datum (AHD) using the AUSGeoid98 geoid-AHD separation model (Featherstone et al., 2001). The bathymetric LiDAR data was collected from November 2008 till March 2009 by the Fugro LADS MkII system (Fugro LADS, 2010) supplemented with the BLOM Hawk-Eye system (Blom, 2010) in shallow inlets. This survey covered more than 4,500 km2 making it the largest single season bathymetric LIDAR survey in the world to date. 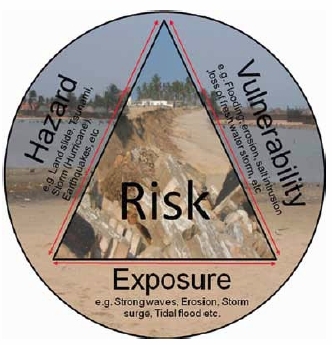 In addition to the coastal elevation, there are three other components of the state-wide vulnerability assessment including the coastal landform and geomorphology classification. This involved collating information on coastal features (e.g. beach, cliff etc) and substrates (e.g. sand, rock etc) from existing datasets, as part of the Australian Government’s Smartline project (Sharples et al., 2009). RESULTS: Victoria vulnerability assessment identified the potential extent of inundation from sea level rise, and under extreme sea levels that reflect storm tides and an increase in wind speed under future climate change scenarios. Each of these potential inundation extents is mapped for current climate conditions, and for the decades centred on 2030, 2070 and 2100. In addition to inundation mapping, the assessment identifies zones of potential instability as a starting point for defining areas that could become unstable due to erosion under the climate change scenarios. The instability classifications are determined using a simple model of erosion and recession based on the shoreline sensitivity classes of the Australian Coastal Smartline Geomorphic and Stability Map, version 1 (Lacey and Mount, 2009). Scenarios include the upper limit of the IPCC projected sea level rise scenario for 2030 of 0.146 m and a “high end” 2100 sea level rise scenario of 1.1 m.
The zones of potential instability, and the inundation extent mapping have been derived to identify localities in Victoria that may be adversely affected by sea-level rise and storm tides. These represent modelled potential inundation effects of a number of combined sea-level rise and storm surge at high tide (storm tide) scenarios on the Victorian coastline and adjoining land. The sea-level and storm tide water levels are combined with the coastal elevation data to produce a polygon layer illustrating the extent of potential inundation. 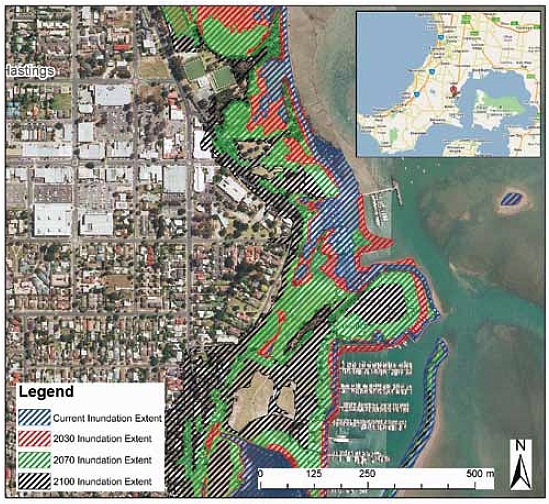 An example of the inundation extents produced for North Western Port Bay and Tooradin are shown in Figure 14. In these Figures the blue area shows the current 1 in 100 year storm tide inundation extent against the levels projected for 2030, 2070 and 2100. 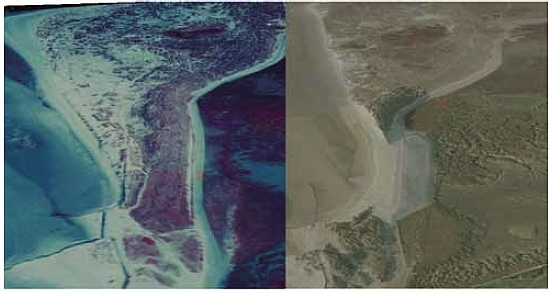 Figure 14: Inundation Extents to the North of Western Port (left) and in Tooradin (right). An additional, example of the inundation extent is shown for the town of Hastings located to the west of Western Port Bay. LESSON LEARNED: The coastal vulnerability assessment of Victorian coast was used to identify priority areas where more detailed coastal hazard assessments are required. This will be followed by further and more localised vulnerability assessments at a scale relevant to local hazards (Figure 15), and will consider localised impacts such as wave set up, erosion and the influence of catchment processes. The Future Coast Program of Victoria is supported by longer-term capacity building to ensure that information and data can be built into risk management and adaptation responses. Figure 15: Inundation Extent in Hastings. The inundation extent is based on modelling of storm tides using the IPCC’s high emissions scenario and projected increases in wind speed. The Future Coasts Programme can be described as a leading example of coastal climate change adaptation planning in Australia and serves as a best practice to the rest of the world. The acquisition of the high resolution DEM has been instrumental in broadening the application of coastal vulnerability assessments to a range of coastal planning and management tasks. However, the next crucial phase of the vulnerability assessment should look at capacity building, communication and information tools (such as animations and scenario planning) to ensure the data is integrated into community education on the threat levels, future decisions and adaptation responses. In the past, sea level rise was measured by examining historic tide-gauge records in combination with measurements of vertical land movement. However, over the last decade, satellites have played an increasingly significant role in measuring sea level. It is important for FIG and its affiliates to facilitate and speed up the capacity building processes on the use of satellite data and other modern technology by its professionals. It is worth noting that one could not attempt to estimate the present and the potential future impacts of sea level rise on a particular coastline without an accurate measurement of the present sea level rise and forecasting the possible future levels of the same area. Surveyors’ contribution to accurate measurement of sea levels in the form of data, skills and tools is very crucial. Measurement of sea level at any particular location is relative. Relative sea level rise is the sum of global (eustatic) sea level change after changes in vertical land movement at the location has been accounted for. Vertical land movement is caused by tectonic activities and anthropogenic factors. Sea level changes are not uniform; some coastal areas find levels rising faster than others. Notwithstanding the global trend of rising sea levels, in some places (Finland and Norway) the Mean sea level is currently falling. Sea level change caused by the last two factors is relatively local, but sea level change caused by the first two is global because the oceans are inter-connected. It is therefore easier to plan for the adaptation to sea level change caused by climate changes (because it evolves over time) than planning for the adaptation to sea level change caused by tectonic movements, since their occurrence in most cases are more sudden (e.g. Tsunami) However, the importance of early warning systems, evacuation plans and disaster risk management plans could not be overlooked. The overwhelming scientific evidence on sea level rise due to climate change suggests that it is one of the serious global threats in the 21st century. Scientist has predicted that hundreds of millions of people in the world, particularly developing countries are likely to be displaced by sea level rise within this century. The resultant economic and ecological damage will be severe for many, especially for coastal communities. Deltas are highly vulnerable to the rising sea level, as they are very low-lying areas where sea and land interact most closely. In fact, the extent of tidal effects in the deltas can be felt for several tens of kilometres, and in some cases hundreds, inland (Case Study 2). The dynamic land and sea interaction in the deltas results in very complex agricultural systems with very high productivity. Significant amount of the world food production (particularly rice) occurred in the deltas. Hence disaster in the deltas could have profound effects on global food supply. There is the need therefore to estimate the present impacts and to forecast the possible future effects of sea level rise on fragile but productive coastal zone so as to develop sustainable adaptation policies towards the future impacts. BACKGROUND: Tide gauge measurements along the Eastern Mediterranean coast originated in the 1920s under the British rule. At present The Survey of Israel is monitoring four stations along the Israeli Mediterranean Sea coast (Figure 16). The main aims of monitoring were marine mapping, derivation of the mean sea level as the zero height of geodetic orthometric datum in Israel and for mapping shoreline for coastal engineering purpose. The Survey of Israel has been monitoring the Mediterranean Sea level for more than 50 years. Figure 16: Location map of the Survey of Israel tide-gauge stations. PROBLEM: Accurate measurement of sea level change requires a painstaking assessment. This is due to the different perimeters that affect sea level. 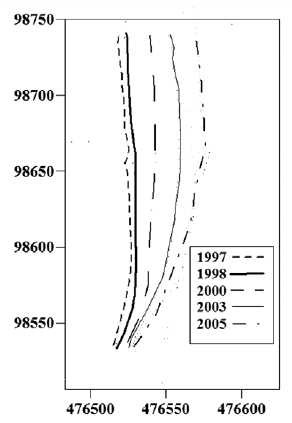 Air pressure and wind have the most effect on sea level changes (Pugh, 1987). The influence of long-term wind on Mediterranean Sea level changes requires long-term assessment to determine accurately the actual sea level rise or fall. This assessment is focus of identifying the factors including climate induce sea level rise. METHOD: Both analog and digital tidal recordings of all the stations were collected and analysed. The semidiurnal tide changes were assessed and comparison between records at Tel-Aviv and Ashdod stations showed high correlation. The strong correlations justify the arrangement of the data (free from irregular disturbances) from all considered stations into one composite record. For the accuracy estimation of the early analog records, sea levels at Yafo and Ashdod were compared. Comparisons between one-hour data at Ashdod with records at Yafo usually show a good correlation over a monthly period. This means that semidiurnal, diurnal and low frequency constituents appeared with the same phases and amplitudes at both stations. A systematic error was noticed in the differences in the results from different benchmark height determinations. Two periods of systematic errors are evident during 1962–1984. During the first period 1962–1967 the tide gauge benchmark heights were determined more accurately and the average difference between the monthly means in Ashdod and Yafo was –0.2 cm. During the second period 1968–1983 the average difference value was –4.8 cm. The main reason for random errors is probably due to mistakes in the sea level adjustment at the time of changing the recording paper. The accuracy of the recent digital records is considerably above the analog ones. The mean value and standard deviations of the differences are estimated at about 1 cm. RESULTS: The yearly mean changes over the entire period between 1958 and 2009 are presented in Figure 17. The time series was compiled from the different sources in cluding digital as well as analog records. Three repetitive sequences of Mean Sea Level changes with 15–20 year period since 1958 are evident. Since the 1990’s control over sea level and benchmarks was handled by the network of the Mediterranean stations. This brings out clearly that a sharp change of about 2 cm from year to year is realistic. After a gradual rise of Mean Sea Level of about 10 mm/year from1990 came a period of stability in 2001 and even a decrease in level between 2002 and 2008. The smooth curve represents splined polygon approximation the changes (Figure 17). Figure 17: East Mediterranean Yearly Means Sea Level Changes and Approximation. LESSON LEARNED: As indicated above, there are some reasons for long–term sea level changes. Among them: astronomical, meteorological and steric (water salinity and temperature). According to different estimations (Pugh, 1987) the amplitude of the nodal cycle can reach 4–7 mm. This means that contributing in observed changes is very low. The next possible contributors are meteorological factors. 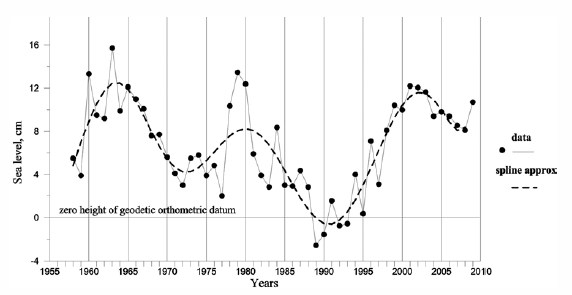 years 1965–2001 varied within a small range of ± 0.5 m/s, which also cannot provide observed changes. Ocean surface topography (water density and currents) contribute significantly to sea level changes. The NAO is a large decadal timescale variation in atmospheric pressure between the Azores and Iceland makes an important contribution to the Mediterranean Sea level. A connection between the NAO and the sea level of the Mediterranean was reported in Tsimplis, 2001. Also oceanographic effects, such as water density variations (Surface Sea temperature), permanent ocean circulations are a principal cause for long period mean sea level changes (Vigo, 2005). BACKGROUND: Inter-tidal areas are physically and biologically dynamic environments. They are also important as sources of food, such as shellfish, as nursery areas for some fish species, and as breeding and feeding areas for a range of bird species. One such area is Langstone Harbour (Figure 18) on the South coast of England. The importance of the area has been recognised by its designation as a Site of Special Scientific Interest (SSSI) and as a Ramsar site. Figure 18: Location of Langstone Harbour. PROBLEM: Important environmental sites such as Langstone Harbour require constant monitoring to ensure that any environmental threats, such as climate change and associated sea level rise, are detected before they can have a serious impact. In order to pursues long-term monitoring of Ramsar sites, significant amount of primary and secondary data sets are require to enable a base-line surveys and change detection. However, the study area consists of a large expanse of tidal mud flats with limited accessibility and is an important breeding site and feeding ground for birds. Limiting damage was of prime importance when collecting primary data. Given the environmental sensitivity of the location and the potential danger of surveying on mudflats, mapping and data collection had to be carried out with a minimum of ground survey. METHOD: This study reviews how University of Portsmouth has used a number of data sources, both primary and secondary, to carry out base-line surveys and change detection of Langstone Harbour. The Ordnance Survey mapping with Hydrographic Office charts across the entire Harbour at a maximum scale of 1:2,500 was obtained. A prototype map integrating the Hydrographic Office chart data with Ordnance Survey map was created for Langstone Harbour at a scale of 1:25,000. The use of Ordnance Survey maps and Hydrographic Office charts for building a coastal zone GIS presents significant problems. Understandably, these maps are designed to meet the needs of a broad user community. The nature of the intertidal zone is also problematic when we consider the modelling of its surface. Even large-scale Ordnance Survey plans do not contain adequate height data for the three dimensional modelling of environmental distributions. In most cases the heights of these inter-tidal areas are below 5 m but height below 5 m contours are not covered on the Ordnance Survey maps. The Hydrographic Office charts have more height and depth data shown but as these relate to chart datum, which itself is related to Lowest Astronomical Tide (LAT), the exact height of a particular location is difficult to ascertain and will not result in sufficient precision for the exacting needs of the project. To overcome the difficulties inherent in the existing mapping, it is preferable where possible to use primary data sources, such as aerial photography, airborne scanner and LiDAR data. Four types of photography were used in the Langstone Harbour project. Historical studies have used both panchromatic black and white and black and white infrared photography. Recent studies have used either colour film or colour infrared, with colour infrared being preferred for any work involving vegetation assessment. Photography has a number of advantages over maps due to the way in which the “product” is produced (Figure 19). 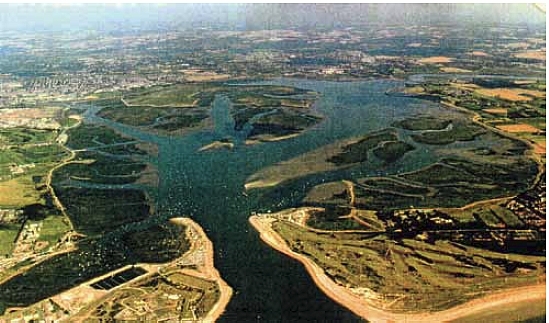 Figure 19: Aerial Photograph of Langstone Harbour. RESULTS: The original photogrammetric work on the harbour used analytical photogrammetry. This approach yield very accurate results, although the process of data capture was very labour intensive. More recently, work has been conducted using digital photogrammetry. Two types of software have been used LPS, which form part of the ERDAS package, and SOCETSET from British Aerospace Systems. Both digital solutions offer much higher data capture rate than the analytical system. However, the very smooth, featureless surface of the mudflats within the harbour does not lend themselves to precise image correlation, and sun glint from surface water also poses a problem. These problems can be overcome, but significant time needs to be spent on editing. Airborne scanner data has been used over the harbour to capture information on cover types as part of ecological surveys, but we have not yet used digital cameras for 3-D data capture. The system used for the cover survey was the Compact Aerial Spectrographic Imager (CASI). LESSON LEARNED: The use of photogrammetric assessment for change detection allows large areas of intertidal zone with access difficulties to be surveyed remotely from the site. A study carried out in the late 1990s indicated that while visual interpretation of colour infrared film was much more time consuming than image analysis of the CASI data using ERDAS Imagine software, the results were significantly better. Some vegetation types could only be discriminated on the grounds of subtle differences in texture as their spectral responses were very similar. Inevitably, these types were conflated in all the attempts at digital image analysis. It is possible that a better solution could have been obtained if other wavelengths had been captured using the CASI system (Collier et al 1997). LiDAR data captured for the Channel Coast Observatory has also been evaluated for the harbour. When tested, the results are generally in line with the estimated accuracy given in Konecny (2004). However, as we did not purchase the LiDAR data, and were not told its cost, we could not assess its cost-effectiveness compared with digital photogrammetry. The value society places on the coastal resources originate due to different uses and services the coastal resources provide. 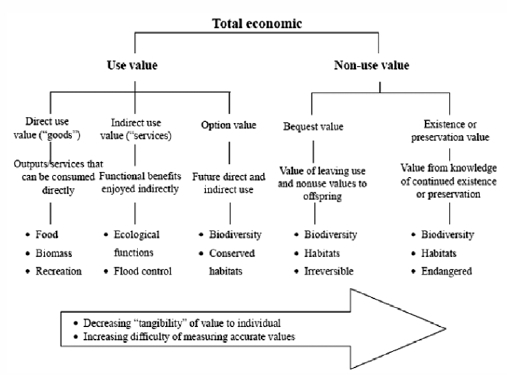 The mainstream economic approach to valuation takes an instrumental (usage-based) approach and seeks to combine various components of value into an aggregate measure of resource value labelled total economic value (Figure 20) (White and Cruz-Trinidad, 1998). The components of Total Economic Value of coastal resources consist of use and non-use values. Use value refers to goods and services provided by coastal resources, which could be used directly or indirectly. Non-use values are those that are independent of an individual’s present or future direct or indirect use. Traditionally the non-use components have not been quantified in monetary terms because mostly, they have no market price. Figure 20: Total Economic Value. Valuing of provisioning of services such as food, mangrove, fibre, and water are generally straightforward due to existing price structure. However regulating services such as the regulation of climate, coastal erosion, coral bleaching, pollution, diseases and supporting services such as nutrient cycling and photosynthesis are difficult to value as there is no prices for these resources. The reality in most countries is a competition between different groups and sectors for access to coastal resources, however, without allocation of prices to these resources they cannot be preserved, conserved and managed efficient for posterity. Not only this but also there are many coastal heritage properties like historic forts, castles, ships and other coastal monument which could be left under the vagaries of climates and sea level rise if the value of such properties are not properly quantified and well defined to policy maker and society as a whole. FIG could play a major part in the development techniques and awareness on the importance of valuation of coastal ecosystem services and coastal heritage Properties. Due to climate change and globalisation, it is important that surveyors understand the complexity and the significance of valuing coastal ecosystem services and coastal heritage properties. Valuation of the non-use coastal resource is very crucial in the coastal zones mainly due to the migration of people from other regions to coastal cities and the enormous pressure it poses on these resources. There is an urgent need, therefore, to reconcile demands for maintaining coastal ecosystem functions and for producing food and services to the people. It is also important to value the non-use coastal resources so as to convince policy makers to pursue adaptation policies for these resources in the face of climate change. The willingness to pay for conservation and preservation of these un-priced coastal resources, to avoid irreversible changes specifically for the benefit of future generations is known as the bequest value. Besides the bequest value, people may gain satisfaction from the knowledge that certain coastal resources exist and therefore may be willing to pay for their continued existence. This is known as the existence value. This arises from the notion that individuals who make no use of a particular coastal resource may gain utility from the mere existence of the resource, even if there is no intention to use the resource in the future. Resource valuation is the process of assigning a numeric value, usually monetary, to a particular resource, product or activity. Though the valuation of un-priced coastal resources is not the same as the valuation of ordinary goods and services, coastal resource valuation process uses a number of monetary valuation methods to account for non-use values. Some of the innovative methods of economics used in valuation of non-priced coastal resources include travel cost method, hedonic pricing, dose-effect method and replacement costs. 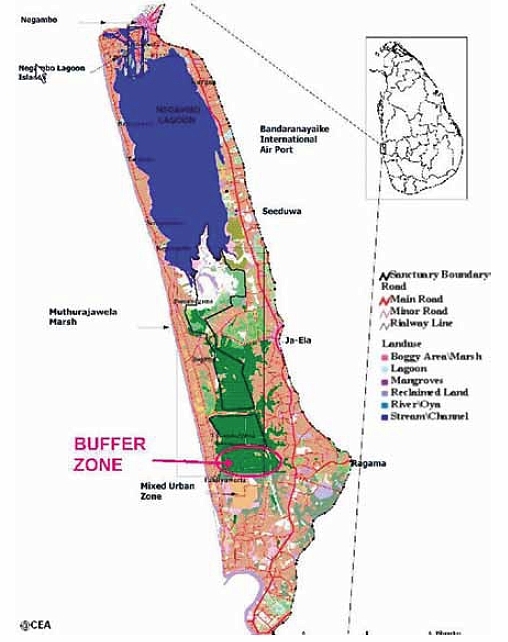 BACKGROUND: Stakeholder preference for coastal wetland conservation (preservation) in Muthurajawela Marsh and Negombo Lagoon (MMNL), Sri Lanka was revealed in this case study. 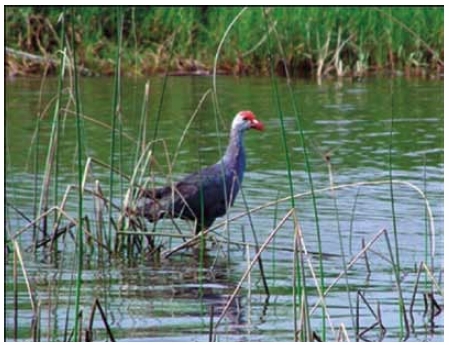 The total economic value (TEV) of wetland conservation was estimated using Contingent valuation method (CVM). The field study was used to assess individual’s perceptions of conservation of mangroves, clean water and fish stocks, possible uses of the wetlands, respondents’ socio-economic background, and to obtain the individual’s willingness to pay (WTP) measure for having a well-conserved wetland. The study focused on the MMNL area, as well as adjacent villages and towns (Figure 21). Figure 21: Location of Muthurajawela Marsh and Negombo Lagoon, Sri Lanka. PROBLEM: Muthurajawela Marsh, Negombo Lagoon and adjacent villages and towns are the areas immediately threatened from development activities and subsequently with the most to gain from conservation of the wetland resources (Wattage & Mardle, 2005). Although those who live relatively close to the MMNL would be affected immediately by any developments, the impact of total benefits may be more widespread. However, given time and resource constraints, the study was limited to the MMNL and adjacent areas in which the most significant impact of conservation related cultural and provisioning ecosystem service benefits might be expected (Figure 22). Figure 22: A View of Muthurajawela Marsh, Sri Lanka. METHOD: Two innovative ideas were used in designing the CVM study in MMNL. In this study a relatively new survey-based method known as One and One Half Bound (OOHB) was implemented to ask questions on WTP values. Typically, in dichotomous survey formats of CVM uses single bound or double bound approaches. For example, in using single bound elicitation format a WTP question is asked whether the respondent would like to pay a given amount for a given option, say £5, where the answer would be “yes” or “no”. In double bound elicitation format, depending on the response to the first question, a second question will be followed with a different value. A criticism of the double bound approach is that respondents are not told in advance that there will be a second value. As a result, interviews tend to focus on the first price, with the second price coming as something of a surprise when introduced at a later stage. This surprise may cause discrepancy in the responses to the two prices and the OOHB approach is suggested to avoid the problem. A series of questions were used to verify a hypothetical conservation programme in the MMNL area and the WTP values in the face-to-face survey. The survey was used to uncover peoples’ perceptions towards conservation of wetlands in the MMNL area and whether they would be willing to pay the local share of the costs. A total of 358 out of 379 questionnaires were accepted for analysis as such the response rate to the survey was almost 87 percent. In order to analyse the responses to the OOHB surveys, a normal cumulative distribution function (CDF) was applied to the OOHB data. The chi-squared test for significance of regression is 9.66514, which is significant at α = 0.05 level of significance. Data on respondents such as gender, household size and education level were collected and tested as additional parameters. However, these were found to be not significant, indicating that they are not explanatory variables in the calculation of WTP. The second innovation of this study was the disentanglement of use and non-use value using the method of Analytic Hierarchy Procedure (AHP). AHP has been used for this purpose by developing priorities (or weights) for criteria and/or accompanying alternatives. The AHP is based on a process of paired comparisons across criteria (or attributes) under analysis. The steps of using the AHP process first include the development of a hierarchy of criteria. A survey was developed for pair-wise comparison of criteria to gain the preferences of individuals towards the criteria selected. Finally, the individuals’ results are analysed and the aggregate sets of preferences to evaluate the overriding issue are determined. On completion of the survey, the analysis can be made using standard software such as Expert Choice. RESULTS : Based on the individual responses, a breakdown of the inconsistency in their responses was attained. Standard AHP practice is to accept responses where inconsistency is less than or equal to 10%. From those who responded in the survey, 101 respondents gave responses to the pair-wise comparison survey with inconsistency less than or equal to 10%, and 99 respondents showed inconsistency between 10% and 20%. Responses with high inconsistency were not included in the analysis as the reliability of their responses could not be ascertained. The aggregated preference towards use value is 0.553 and the non-use value is 0.447 in conservation of wetlands in the MMNL area. the SLRs. 144.55 for non-use values. LESSON LEARNED: There is an urgent need for detailed research to determine the status of coastal ecosystem services and to standardise how value can actually be captured and incorporated in decision making processes in ecosystem management. Conservation decisions should not only be based on economic criterion. Other criteria such as ethical, cultural and historical factors also play a pivotal role in this connection. Valuation can only provide relevant information highlighting the economic consequences of alternative courses of action. As such economic valuation of coastal ecosystem services will lead to more informed choices if used correctly in decision making processes. However, existing economic valuation techniques can provide reliable answers to questions involving relatively small scale changes in resource use and only become less robust as the scale of the analysis and the magnitude of environmental change increases. Furthermore, economic valuation tends to deal poorly with large scale ecosystems and long time horizons. Cost-benefit analysis in decision making becomes more difficult when there is an uncertainty about future benefit flows of ecosystems and the role of discounting become increasingly detrimental. Coastal zone resources have multiplicity of use, which leads to conflict among users, and to avoid conflict there must be rules or institutions to regulate access to this complex resource. Institutional frameworks are structures of complexes customs and deeds that continue over time to serve collectively valued purposes. They are the criteria for decision-making which can be both formal and informal. The formal institutional arrangements are codified in constitutions, statutes, regulations plans and policies. The informal institutional arrangements are manifest in social expectations such as the rules governing relationship within a family and community. Institutional arrangements could be categorised into three (Figure 23). Figure 23: Three Types of Institutional Arrangements (after Ostrom, 1990). The “Top-Down” arrangement indicates a management framework where decisions or rules are made by the top management and then impose on the resource users. Such rules and mostly difficult to implement and usually require huge effort of policing the resource users since they may not accept the rules being imposed on them. 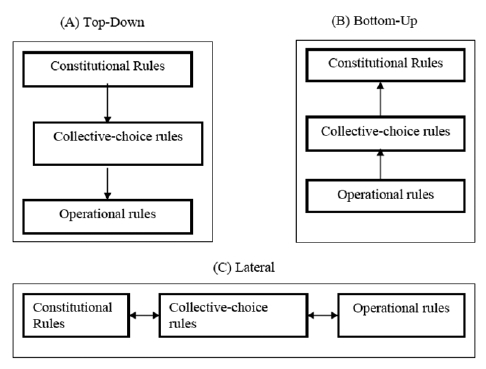 The “Bottom-Up” arrangement is the exact opposite of the “Top-down” here decisions and rules are made by the resource users and then passed on to the top level management for codification. Though it is very difficult and time consuming to make rules through this arrangement, it is mostly easy to apply such rules since the local resource users perceived it as their own rules rather that somebody imposing the rules on them. The “Lateral” or collaborative arrangement refers to the process whereby stakeholders from all the three levels come together as partners to make decisions or rules. In fact, most coastal and marine resources are common pool resources which are mostly managed by informal institutional arrangements and broader international conventions. However, developing policies, plans and strategies towards coastal adaptation to climate change require formal institutional arrangements. This will ensure that policies, plans and strategies are implemented, monitored over a period of time and evaluated to ascertain the success or failure of the adaptation programme. This will also facilitate the decision to continue the policy or to pursue alternate course of action. It is important for coastal management, policy makers and other experts involve in coastal adaptation to climate change to develop the needed formal institutional frameworks for adaptation through collaboration and participatory approach. To ensure successful implementation of coastal adaptation planning policies, all stakeholders including local resources, and indigenous settles should be involves in the policy development. The stakeholders should be updated on the adaptation policy implementation process through public education. BACKGROUND: Tanguar Haor is located in Sunamganj District under Sylhet Division in North Eastern Bangladesh (Figure 24). It has an area of 9,727 hectares of wetland with common property ownership. Initially, the wetland resources provide the source of income, food and shelter to the local people. However, in the early 1990s the fisheries resources have largely fallen into the hands of the wealthy and the politically well connected and the livelihood of the local people were threatened. 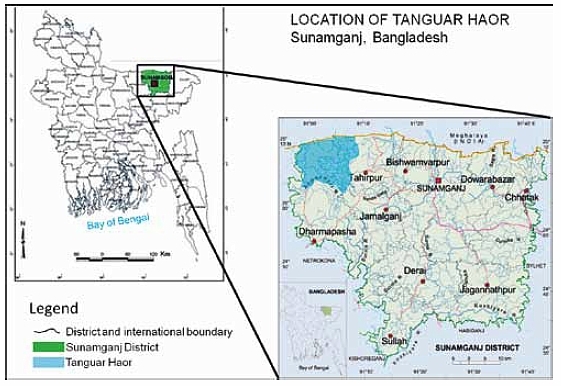 Figure 24: Location of Tanguar Haor (Source: IUCN Bangladesh, 2006). PROBLEM: Tanguar Haor habitat areas were being destroyed by commercial fishing. The process lead to impoverishment as local fishermen was divorced from their resource base. Islam (1998) identified that such problems often linked to over-utilisation of natural resources, which is fuelled by the fact that the rural poor have to make ends meet on an ever-dwindling resource base, while the elite myopically focus on making handsome profits in the short-run. METHOD: Through the effort of local Environmental NGOs, some government agencies and with the financial support from IUCN, a formal institutional framework and management plan was developed for Tanguar Haor wetland. The local community, commercial leaseholders, and all stakeholders involved were brought together to develop sustainable and community based resource management for Tanguar Haor. Analysis of the Institutional arrangements and interactions of Tanguar Haor resource management revealed a “bottom up” institutional framework. RESULTS: The implementation of the plan in its short term of five years paved the way for the envisaged long-term option of community based management in Bangladesh. Both the local communities and the elites are benefiting from Tanguar Haor natural resources and the long-term survival of the unique biodiversity of Tanguar Haor is guaranteed. LESSON LEARNED: the results of study support the rationale, which has been generally accepted worldwide, that local communities are likely to be the best caretakers of the environment, as it is primarily in their own interest to manage their resources sustainable. Participatory institutional arrangements adequately protect the values of nature-based systems and deliver improved socio-economic conditions for people in communities. In most case, existing informal institutions and their effects in enhancing or disrupting resource management help in designing and implementing better institutions for sustainable resource management. There is the need therefore, to involve the local resource users in the process of institutional development. In the context of this report, it is important to state that local and indigenous coastal communities should be involved in the development of coastal adaptation policies. 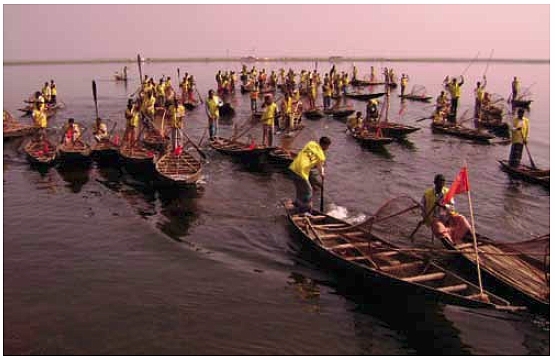 Figure 25: Local fisherman demonstrating their support for Tanguar Haor wetland management on the World Wetlands Day 2009 (source: www.ramsar.org). BACKGROUND: Tanga is one of the Northern regions of Tanzania. Its coastline covers approximately 130 km from the Kenyan border in the North, to Sadani Game Reserve in the South (Figure 26). Tanga’s coast has one Municipality, one small town and about 87 villages. About 150,000 people live in coastal villages and rely mostly on Artisinal fishing and farming to maintain the household economy. 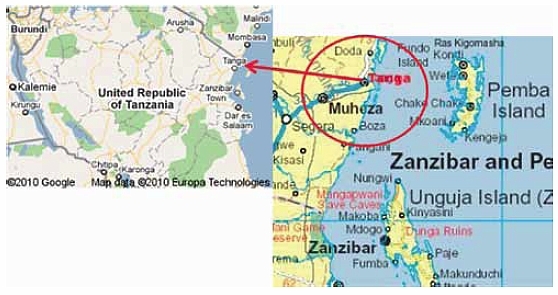 Figure 26: Location of Tanga in Tanzania. PROBLEM: In Tanga, the larger fragments of coastal forest (mangrove) were under some form of reserve status (traditional sanctuary sites). Following a period of one party rule under a socialist model, indigenous management system for common pool resources broke down with the formalisation of power in the villages. This led to resource management problem. Increase pressure on the coastal forest from local and various commercial groups led to the deprivation of indigenous communities’ subsistence by local and non-local commercial users and degradation of the coastal mangroves. METHOD: The move towards multi-party democracy offered opportunity to build partnerships for conservation and development with institutions other than government at the village level. With technical assistance from IUCN and funding from Irish Aid, an integrated programme aimed at building capacity in local communities and partnership with government was developed and implemented to ensure that coastal resources can be protected, utilised and managed for the benefit of present and future generations. The programme planners adopted a collaborative management approach because of the strong desire by the villages to maintain the mangroves as a common pool resource, rather than retain it as state controlled resource or private land. Following a community led planning process with programme staff, the villages established a number of collaborative committees (local institutions) to deal with management of Tanga natural resources. Reduced the cost of protection or policing of mangrove from poachers. LESSONS LEARNED: Lateral or collaborative institutional framework was used for the sustainable management of common pool resource (coastal mangrove) in Tanga. The case study has revealed that any institutional arrangement, which attempts to change or undermine the status quo of access and right to resource without the participation of the users in the change processes, may be futile. Therefore, the need to involve local communities in coastal adaptation planning cannot be overemphasis. The local coastal settlers are likely to be the best caretakers of the coastal environment, as it is primarily in their own interest to manage their local resources sustainably. The outcome of the two case studies on instructions framework confirms Bryson and Crosby (1992) argument that no one alone can reverse environmental damage. Instead, in order to marshal the legitimacy, power, authority, and knowledge require to tackle any major public issue, organisations and institutions must join forces in a “sharedpower” world. The Global warming is causing sea levels to rise as the huge mass of ice in the Polar Regions melted away to fill the oceans. The changing climate and the rising sea levels is also changing storm patterns and increasing the intensity of storm and other physical process in the coastal and marine environment. The reduction of loads on the land as a result of the ice melting away in the Polar Regions is causing the land level in these areas to ‘bounce back’ and rise in relation to the sea (Figure 28). At the same time, coastal lands are being submerged in some areas in the tropics where sea level is rising a couple of millimetres per year. These processes are causing increased coastal erosion (Figure 27) and flooding in tropical regions and gradual falling of sea level and gaining of hundreds of hectares of land (reliction) from the Polar Regions such as the North Sea. This phenomenon is likely to lead to sea level rise over the next hundred years in the tropics (IPCC, 2007). This, in the long-run will weakened the natural and man-made barriers that absorb wave energy and damage many coastal properties through erosion and inundation over time. The loss of coastal land through erosion and the gain of land through ‘bounce back’ as a result of melting glacier would cause serious land challenge and property right problems. 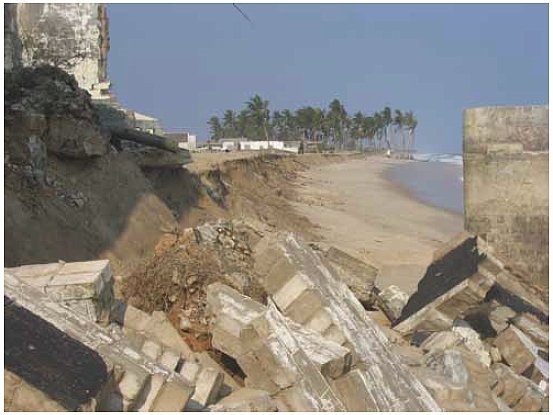 Figure 27: Coastal Erosion in Ada, Ghana. 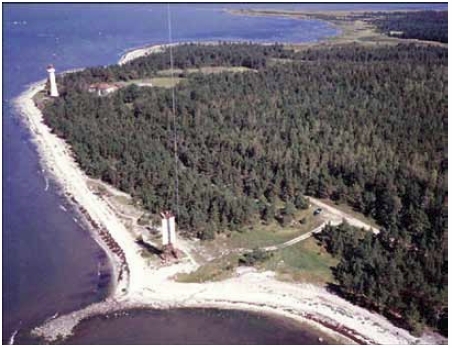 Figure 28: Land gain from sea level fall at Baltic Sea. The wider literature on Climate Change and its potential impacts identifies Small Island Development State (SIDS) as being particularly vulnerable and the associated challenges are of growing concern to a wide variety of built environments and communities in Small Island Developing States (SIDS). Most SIDS coastal towns and cities are already experiencing severe loss of land through coastal erosion and storm surges. It is important therefore to develop good understanding of the relationship between built infrastructure and sea surface elevation. Similarly, it requires knowledge of the relationship between community socio-economics on one hand and coastal infrastructure on the other. A typical example is the Grand Riviere a small coastal community located on the Trinidad North Coast along the Caribbean Sea. The community is low-lying and accessed by a poorly maintained, single-lane, coastal road. An initial assessment of Grand Riviere draws attention to the challenges faced by researchers studying small coastal communities in search of answers to research questions about critical coastal relationships; the answers to which are important in decision-making associated with potential Climate Change impact. It is important to explore and develop a combination of measures to adapt SIDS coastlines to the effects of climate change. In addition, there is the need to address the problems emerging from coastal erosion and property right problem arising from gaining of land due to ‘bounce back’ as result of melting of glacier in the North Sea. The two case studies below offer some direction as to how to deal with the emerging land challenge associated with climate change. BACKGROUND: Ownership and management of the coastal margin are contested. Case law, legislation and central and local government policy in New Zealand support the general concepts of promoting the natural character of coastal land, recognising that land is not permanent and that the sea may take land, avoiding attempts to build structures against the sea, and preventing inappropriate development. However, demand for coastal property and the value attaching to that property suggest that these concepts are contrary to the expectations of land owners. This study reflects on the conflict being played out in many coastal communities, and identifies that such conflict has not been satisfactorily resolved. PROBLEM: Many areas of the coastline are now subject to significant erosion, much of it prompted by physical intervention in coastal processes (e.g. intervention in sediment replenishment from dammed rivers, modification of coastal landforms and clearance of vegetation cover), but increasingly recognised as arising from climate change and sea-level rise. Access to and protection of private property is strongly held principles of being a New Zealander, and legislation and case law have regularly provided protection of property as a basic individual right. The developing principles of sustainability, however, suggest that humans need to adapt to the forces of nature rather than to attempt to control or modify them for human needs. METHOD: A review and analysis of the existing legislations and how they describe the judicial, legislative and policy interventions that direct how we will deal with anticipated increasing encroachment of the sea over coastal property. The question of whose responsibility it was to protect property was raised at a philosophical level but also at a practical level regarding ownership of land where coastal protection works were built, and the location of mean high water springs mark. RESULTS : The judicial argument focused around 3 main issues, namely the common law duty of the Crown to protect the land from invasion; the common law right of individual owners to protect their own property; and whether the statutory intervention of the Resource Management Act 1991 has abrogated or modified those duties and rights. In the past the court has ruled on a case that the policy of managed retreat was a justifiable response to coastal erosion and that this process was not an evil that takes away property but an expected result of natural processes. The court, in response to the claim that every landowner has a right to protect his or her land from the inroads of the sea, stated that such an approach “manifests a narrow 19th century preoccupation with proprietary right, out of keeping with the more holistic policy concerns of sustainability and environmentalism popular today”. The individual rights attaching to property ownership are not absolute and must always be subject to legitimate planning rules that now, more than ever, focus on environmental protection and public rights. On coastal legislation and policy, the Resource Management Act 1991 defines matters of national importance which include: ‘the preservation of the natural character of the coastal environment … and protection from inappropriate subdivision, use, and development’ and ‘the maintenance and enhancement of public access to and along the coastal marine area’ and also requires authorities to have particular regard for ‘the effects of climate change. Ministry for the Environment is active in planning for climate change effects on coastal margins and has warned that ‘coastal development and global warming are on an eventual collision course’ and that ‘managed retreat and adaptation are the only reasonable long-term options.’ Regional councils have also prepared documentation (Turbott 2006) to assist the planning for coastal erosion and particularly the issues arising from implementing managed retreat – that is, abandoning property or relocating structures threatened by coastal processes. Evidence suggests that the market value of coastal property is largely unaffected by the risk of coastal erosion (Turbott 2006; 12). In the past, local authority practice has been to build coastal defences to protect their communities, and the power and value attaching to coastal property have imposed a strong imperative to maintain such structures. Property insurance is the normally expected fallback position for property owners affected by loss. However, given the inevitability and expected worsening of the coastal threat, it would appear reasonable to expect insurance companies to withdraw or deny cover for losses incurred by coastal erosion. Government compensation schemes (such as the Earthquake Commission) have often covered property loss due to natural disaster, but this is only available for severe unpredictable events. While the government has an interest in supporting the property market, it would not take responsibility for the gradual effects of coastal erosion from which all property owners have due notice and time to retreat. The possibility of Crown or local authority buy-out is a useful option, but the expense of compensating for unrealistically inflated coastal property values is a significant impediment. LESSON LEARNED: National policy prioritises natural character and processes, legal decisions dismiss the absolute rights of property owners, technical reports confirm the inevitability of sea level rise and erosion, resource consent conditions and encumbrances on titles may warn of land loss, but actual practice illustrates the power base that coastal property owners can exert on local authorities. Hard structures such as rail irons, posts and logs, have been exposed as ultimately succumbing to the forces of wind, tide, waves and sea level rise, and they disturb natural processes and ecosystems. Moreover, they are unsightly on the coastal landscape, create dangerous obstacles and are impediments to public access. The coastal margins of our land mark a significant zone of conflict, where not just the land and the sea clash, but environmental, social, economic, legal and engineering issues also are at odds. The extremely strong preference for coastal property exhibited by the population overrides the hazard risk evident by even casual observation. Furthermore, there is a strong expectation that land and property rights should be permanent and protected from loss. The judicial, legislative and policy suggestions to the contrary will require careful negotiation. But just as the physical defences against the power of the sea are failing, inevitably, so too will people and property give way to the sea. We cannot afford, economically or environmentally, to hold back the sea. BACKGROUND: There are hundreds of hectares of reliction area (land gained by sudden or gradual retreat sea water) from the Baltic Sea every year on the Finnish coast line because of melting glacier and postglacial uplift in Fennoscandia. Because the boundary lines of waterfront properties are fixed, the ownership of shoreline changes as a result of the postglacial uplift. Waterfront properties become properties abutted on a reliction area, not to water (Sea) area. As a result the usufructs of a shore previously a part of the waterfront property decrease significantly. Because of the phenomenon the private owners of the former waterfront properties have been given the right to coercive purchase (CP) reliction areas (Figure 29). The CP is widely used because it is practically impossible to make a voluntary transaction with reliction areas, which normally have complicated ownership structures (reliction areas are usually owned by the owners of a jointly owned water area). In CP proceedings a legal cadastral surveyor who also is an independent property valuator orders the purchaser to pay a full compensation to the conveyer from the reliction area. But what is the fair value of the reliction area? And furthermore, what is the loss of the conveyer? Due to lack of property markets for such land fair value of reliction area remained unclear this study assesses the newest decision of the Supreme Courts by utilising the profit sharing theory. Figure 29: Boundary lines of purchaser’s property before and after coercive purchase (CP). In Fig. 1 P stands for purchaser’s built-up property, R stands for jointly owned reliction area (hard land that has risen from the sea), and W stands for jointly owned water area). PROBLEM: A fair value of a property is usually considered to be equal to the market value of the property. In this case, however, there are no property markets for reliction areas for which the valuation could be built upon. As there is no market value for the reliction area the value needs to be derived with other means. How do we determine the value? Sharing the profit in CP of a reliction area according to the land area seems to be the most logical way to act (Tenkanen, 2008). Profit sharing according to the land area is analogical with other cadastral procedures and leads to a similar result as voluntary transactions or agreed prices in CP of reliction areas. RESULTS : An assessment of the Supreme Court ruled on a case (case 2000:38) in a CP of a reliction area, indicates that the unit price (Euros per square meter) of the reliction area is the same as the unit price of the waterfront property formed in the process. In this case there was a former waterfront property (6,000 m2) abutted on a 30–50 meter wide reliction area (1,000 m2) which had no independent use and was disturbing the use of the purchaser’s property. Let us analyze the case using the profit sharing theory earlier presented. The market value of the formed property was 15 FIM per square meter which led to the total value of 105 000 FIM. The market value of the purchaser’s original property abutted on the reliction area (not to water area), and was 1,000 square meters smaller, was considered to be 13.50 FIM per square meter leading to the total value of 81 000 FIM. The transaction costs were about 9 000 FIM. A compensation of 15 000 FIM was ordered for the reliction area. This means that the conveyor received the whole profit, i.e. 105.000 – 81,000 – 9,000 = 15,000 FIM (however, it must be reminded that the profit sharing was not discussed in the decision). The case 2000:38 is widely argued and it has not had a major role in the CP practices because the valuation principles presented are not considered to lead to fair results in other cases (Hiironen 2006; Kuusela 2006). The case does not fit in with the basic Finnish principle of CP where the compensation should reflect the conveyor’s losses, not the purchaser’s gain. LESSON LEARNED: The question of whether or not to share the profit in CP has been raised internationally, at least in academic circles. In some countries the issue has already led to reform of legislation as well. The value of the area to be purchased significantly increases in many CP situations. Usually the fair value of the expropriation unit can be valued with the help of market information and comparable sales. Comparable sales are the base for determining fair compensation because in those voluntary sales others have already shared the profit in a reasonable way. In many cases, however, there are no markets for the units expropriated and thereby no comparable sales. In these cases the question of profit sharing should be discussed. BACKGROUND: After many year of applying United Nations Convention on the Law of the Sea (UNCLOS) for the management of right and responsibilities within the marine environment, the concept of sustainable management of marine space has drawn the attention of many researchers, professional organisations such as FIG and nation states to the development of a more detailed marine management infrastructure called marine information management systems (marine cadastre, marine spatial planning). These systems help to manage rights, restrictions, and responsibilities within coastal and marine spaces. The United States of America, Australia, South-East Asia and Canada are among the countries that have been exploring and implementing marine cadastres. The St. Margaret’s Bay marine cadastre prototype was jointly developed as a proof of concept by researchers from the University of New Brunswick, Canada and the University of the West Indies, Trinidad and Tobago. PROBLEM: St. Margaret’s Bay was chosen as the study area because the community has an interest in managing the rights and interests associated with that area, and wished to be part of the project. The idea was to use the study as a means of demonstrating to Canadian political entities with funding resources, the utility and benefits of such a system and therefore secure national interest and resources for the development of a national marine cadastre. METHOD: The marine cadastre prototype was developed on the concept that effective and efficient management of rights to marine and coastal spaces, as on land, will lead to better management of these spaces. This is because in the management of rights one is in effect managing people’s relationships to one another, and to these spaces. All rights explicitly or implicitly relate to boundaries, whether these boundaries are clearly defined or fuzzy, and these boundaries have attached to them laws, rules, regulations, restrictions and responsibilities that define acceptable behaviour in these spaces. Datasets were first processed in ArcMap as shape files and then exported to ArcGIS Server’s platform. The datasets are 2-dimensional polygons with 3-dimensional characteristics simulated through database designs that added fields indicating whether the rights were related to sea surface, water column, seafloor, or subsurface. Figures 30 and 31 show global view and general sample query results from clicking on a point of interest on the map. Figure 30: COINAtlantic Marine Cadastre Prototype (Global View). Figure 31: COINAtlantic Marine Cadastre Prototype (Showing General Results). RESULTS: The prototype was developed as a Web mapping tool using ESRI’s ArcGIS Server. The data displayed in the developed Web Mapping interface representing the marine cadastre can be queried by point-and-click methods and delivers text/attribute data results directly from linked spatial databases. The usual “zoom” and “pan” functions associated with most mapping utilities are also present. 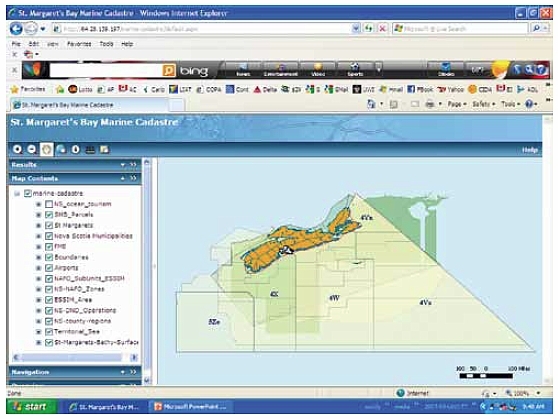 The marine cadastre application is populated with international and Canadian national, provincial, and municipal datasets. This was necessary to demonstrate the complexities associated with rights occurring in the study area. 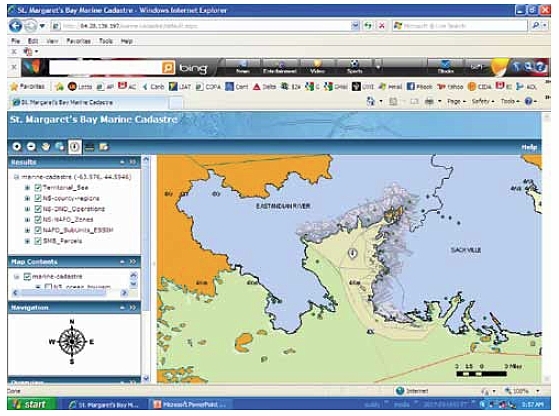 LESSON LEARNED: The St. Margaret’s Bay marine cadastre prototype is a 2-dimensional interface. Rights to marine space can be to the water surface, water column, seabed, subsoil, or to any combination of the foregoing. One lesson learned from the development process is the fact that the 3-dimensional nature of rights in marine spaces is not well modelled in the 2-dimensional representations of the prototype. There was no obvious collaborative, cooperative, or integrative governance mechanism in place to facilitate the easy sharing of data among government agencies that have jurisdiction over various rights and interests. Government stakeholders had to be physically approached to supply data on the interests under their jurisdiction. Data sets were fragmented, sometimes incomplete, and collected and presented based on very different mapping standards. Marine cadastre solves all these data sharing problems and enhances governance of marine space. The most essential issue for many coastal nations now is to develop a proactive and sustainable adaptation plans and policies to deal with the present and future impacts of climate change and associated sea level rise. Based on this background, the need to prepare adaptive responses to reduce impacts of climate induced sea-level rise on coastal zones cannot be overlooked, irrespective of the possibility of mitigating some of the more extreme effects through emissions controls. The IPCC, (2007) identified that one way of increasing adaptive capacity is by introducing sustainable development planning through adaptation measures in landuse planning and infrastructure design and measures to reduce vulnerability in existing disaster zones. selection of the best sustainable options for implementation, continuous monitoring and evaluation of results. It is important to state that application of these principles require stakeholders’ participation and reliable data on coastal variables. The adoption of Integrated Coastal Zone Management (ICZM) by many maritime nations has led to the increased level of participation in the decision-making process and the strengthening of institution in the coastal zone. ICZM has helped in the building of capacity, creating awareness on the dynamics and the complexity of the coastal systems and how it should be managed. One important tool of the concept of sustainable development that has contributed significantly to the developments in the coastal zones is Environmental Impact Assessment (EIA). It tries to ensure that developments do not cause extreme harm to the environment and that any significant harmful effects of a development are mitigated or properly managed. Due to the significant benefit of EIA as a tool, it has been integrated into national and local planning policies in most countries. Coastal zones have a very complex and dynamic environmental system and are perhaps the most vulnerable area in the face of climate change and associated sea-level rise. Hence there is the need to integrate coastal adaptation to sea-level rise into planning policy in the coastal zone so as to ensure sustainable development and to maximise future economic benefit from the coastal zones and SIDS. Management of any environmental problem requires the concerted effort of all stakeholders. There is therefore the need for FIG as an organisation, its membership and affiliates to advocate for the integration of coastal adaptation planning into national planning policies and also contribute to the capacity building for coastal adaptation at local, national and regional levels. The process of coastal adaptation to climate change and sea level rise in both human and natural systems are very complex and dynamic. It often involves numerous assessments depending on existing conditions and possible future scenarios. The success of any adaptation policy depends on the ability to address the natural resilient to the change, financial considerations, the local capacity to deal with the effects of the change, effective planning policies, which depends on data and informed decisions. To allow natural processes to operate whenever possible and to avoid unnecessary artificial interventions as nature is likely to win in the long-term. To develop accommodative strategies that will allow vulnerable areas to be used until the time for eventual retreat. Figure 32: A Framework for Sea-Level Rise Adaptation into Planning. Figure 33: Climate Change Risk Assessment Triangles. The issue of climate change and impacts are already affecting many coastal regions and SIDS of FIG member countries. The impacts are likely to intensify over the next century. There is the need to plan for adaptation now so as to reduce some of the negative future effects of climate change in the coastal zone. The best adaptation practices (case studies) presented in this report may be applicable elsewhere with minor modification, possibly to fine tune to the local rules and regulations. It is worth noting that the problems of climate change are not restricted to the coastal zone. The problems are diverse and cut-across many dimensions and faculties of the surveyors’ professions. It is therefore, suggested that FIG should set a cross-commission task-force to develop a holistic, but concise policy guidance on climate change adaptation for members. We (surveyors) could do this better because of the interdisciplinary nature of our work and the fact that climate change adaptation planning requires interdisciplinary approach to deal with the diverse issues such as, the land challenge (both loss and gaining of land), property right, disaster risk management and precise measurement and assessment of future vulnerability. The processes of coastal adaptation to Climate change and associated sea level rise in both human and natural systems are very complex and dynamic, often involving numerous assessments depending on existing conditions (Figure 32). The choice of policy for adaptation may be very difficult if one begins to overlay the different natural coastal characteristics with the human and development interest. For instance, what policy option would be best suited for a built coastline with a soft coastal geology or low lying area, which is being threatened by erosion and flooding? The success of any option to be selected will depend on the ability to address the financial considerations, natural resilient of the coast, the local capacity to deal with the risk, advance adaptation planning and reliable data on the coastline. In developed countries such as the UK, USA, Japan and the Netherlands, many coastlines are heavily urbanised and the majority of them are well protected with hard and/ or “soft” engineering measures. They also have monitoring systems in place to check the resilience of their schemes and the capability to act quickly to maintain and fine tune their performance. These countries have the planning, financial and technical capacity to upgrade existing defences and even build new defences to withstand the impacts of climate change and sea level rise and would be able to implement effectively almost any of the coastal adaptation response policies. They have the luxury of being able to select the most sustainable or environmentally friendly options and can implement accommodation measures to address residual risks and have the infrastructure and welfare systems enabling communities to recover from “unanticipated” events that do cause problems. However, developing countries in Africa, Asia, South America and SIDS on the other hand do not have these capacities, but they also presently have less development along their coastlines. There are also many fewer examples of coastal engineering in these countries, except at harbours and a few erosion “hot spots”. It means that there are opportunities to avoid the potentially costly and unsustainable “development – risk – protection” cycle by attempting to apply land use planning, retreat and accommodation adaptation policies to manage the extent to which their populations and economic activities overlap into the most hazardous areas. However, almost all these countries are currently experiencing rapid coastal urbanisation and this threatens to increase the future risks and the consequent demands for protection options. These indicate the stronger need for FIG and other NGOs to advocate for adaptation planning and advance preparation for disaster risk management such as avoiding development at hazardous coastal land, early warnings systems, victims’ evacuations plans and the building of elevated storm shelters in vulnerable coastal communities in developing countries. There is an urgent need for every coastal community to explore and identify climate change adaptation plan that could potentially offset some of the worst climate change problems, since the impacts of climate change and associated sea level rise is global and probably more predictable and adaptable than sea-level rise causes by tectonic forces. However, for such adaptation policies to be effective they need to be matched carefully to the local institution, local coastal processes and geology as well as the economic activity at the backshore. They also need to be planned in advance and implemented within an organised framework which includes elements of monitoring, maintenance, partnership with local community and capacity building. Armah, A. K. (1991). Coastal erosion in Ghana: causes, patterns, research needs and possible solutions. In O. T. Magoon, T. Converse, V. Tippie, L. T. Tobin & D. Clard (Eds. ), Coastal zone 91: proceedings of the seventh symposium on coastal and ocean management (pp. 2463–2473). New York: ASCE. Awosika, L. F. (1995). Impacts of global climate change and sea level rise on coastal resources and energy development in Nigeria. In: Umolu, J. C. (ed). Global Climate Change: Impact on Energy Development. DAMTECH Nigeria Limited, Nigeria. Boateng, I. (2009a) Sediment budget analysis and integrated shoreline management planning: An application to Ghana’s coast. Unpublished Ph.D. thesis, University of Portsmouth, Portsmouth. Bray, M. (2007) East Head and West Wittering: Interpretation of Beach Changes 2003–06. Report to Chichester District Council. 27p. Bryson, J. M. & Crosby, B. C. (1992). Leadership For The Common Good. San Francisco: Jossey-bass Publishers. Collier, P., Fontana, D. & Pearson A. W., 1997, The development of a GIS for an inter-tidal area using CIR photography and CASI data. Proceedings of the Third International Airborne Remote Sensing Conference and Exhibition, Copenhagen, vol 1 pp. 363–370. Department for Environment Food and Rural Affairs. (2006). Shoreline management plan guidance. Volume 2: procedures. Retrieved January 10, 2008, from http://www.defra.gov.uk/environ/fcd/guidance/smpguid/volume2.pdf. 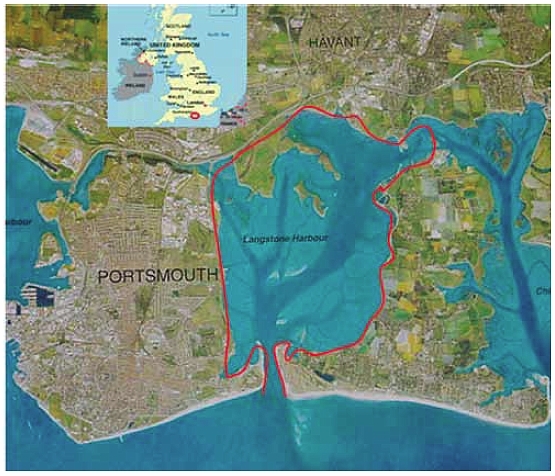 Environment Agency (2007) Pagham to East Head Coastal Defence Strategy 2007. Environment Agency of England and Wales. Ghana Environmental Protection Agency. (2000). Climate change vulnerability and adaptation assessment of Ghana coastal zone. Accra: Ministry of Environment, Science and Technology. Hiironen, J. (2006). Vesijätön arviointi vuonna 2005 loppuunsaatetuissa lunastustoimituksissa.Maanmittauslaitos. Pages 11–12. International Federation of Surveyors (2008). Costa Rica Declaration on Pro-Poor Coastal Zone Management. FIG Publication no. 43. Intergovernmental Panel on Climate Change. (2007). Climate change 2007: impacts, adaptation and vulnerability: contribution of working group II to the fourth assessment report of the IPCC. Cambridge: Cambridge University Press. Islam, A. M. (1998). Restoring Local Community Participation in Wetland Resource Management: A case study from Bangladesh. Retrieved December 12, 2003, from http://srdis.ciesin.columbia.edu/cases/bangladesh-001.html. Konecny, G. (2003). Geoinformation: Remote Sensing, Photogrammetry and Geographic Information Systems. London, Taylor and Francis. Kuusela, M. (2006). Selvitys vesijätön lunastuskorvausten määrittämisperusteista. Erikoistyö. Teknillinen korkeakoulu. Maanmittausosasto. Pages 39–41. Lacey, M. and Mount, R. (2009) Draft Australian Coastal Zones of Potential Instability. Metadata Record. University of Tasmania, Hobart Australia. Nurse, M. & Kabamba, J. (1999). Defining Institutions for Collaborative Mangrove Management: A Case study from Tanga, Tanzania. Retrieved January 3, 2004, from http://www.iucn.org/places/eao/pubs/forest/tangaman.pdf. Peltola, R.; Hiironen, J. (2007). Vesijätön arvo tontin lisäalueena. Maanmittaus, 82. vuosikerta, n:o 2, 2007. Aikakauskirja maanmittaustieteitä varten. Helsinki. Pages 49–52, 55–59 and 64. Pfeffer, W. T., Harper, J. T., & Neel, S. O. (2008). Kinematic constraints on glacier contributions to 21st -century sea-level rise. Journal of Science, 321 (5894), 1340–1343. Pugh D. T., 1987. Tides, surges and mean sea-level. John Wiley & sons, Chichester, 472 p.
Shaples C., Mount R. and Pederson T. (2009) The Australian Coastal Smartline Geomorphic and Stability Map, Version 1: Manual and Data Dictionary. University of Tasmania, Hobart Australia. Tenkanen, A. (2008). Oikeudenmukainen hyödynjako järjestelyluontoisissa lunastuksissa. Maankäyttö 1/2008. Pages 46–48. Turbott, C. 2006. Managed Retreat from Coastal Hazards: Options for Implementation. Environment Waikato. Technical Report 2006/48: 89. http://www.ew.govt.nz/publications/Technical-Reports/Managed-Retreat-from-Coastal-Hazards-Options-for-Implementation/. Last accessed 20/11/09. Vaughan, D. G. (2008). West Antarctic ice sheet collapse – the fall and rise of a paradigm. Journal of Climate Change, 91, 65–79. Vigo, I., Garcial, D., Chao, B. F., 2005, Change of sea level trend in the Mediterranean and Black seas, Journal of Marine Research, 63, 1085–1100. Walsh, K. J. E., Betts, H., Church, J., Pittock, A. B., McInnes, K. L., Jackett, D. R., et al. (2004). Using sea level rise projections for urban planning in Australia. Journal of Coastal Research, 20(2), 586–598. Ward, S. (2004) Planning and Urban Change (2ed). London: Sage Publications, incorporated. Wattage, P. and Mardle, S., 2005. Identifying stakeholder preferences towards conservation versus development for a wetland in Sri Lanka, Journal of Environmental Management, 77, 122–132. White, A. T. and A. Cruz-Trinidad, 1998. The Values of Philippine Coastal Resources: Why Protection and Management are Critical. Coastal Resource Management Project, Cebu City, Philippines. 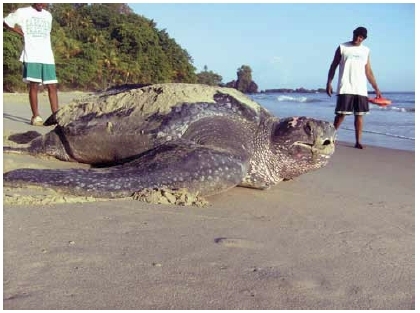 Leatherback Turtle on the Trinidad North Coast.